According to the National Highway Traffic Safety Administration (NHTSA), rear end auto accidents account for roughly 28 percent of auto collisions every year. While they are among the most common kinds of crashes, they tend to lead to vehicle damage or injuries rather than fatalities. Only 6 percent of deadly crashes are caused by rear end car accidents. Our Walnut Creek, CA auto collision lawyers would like to consider some of the common causes of rear end crashes and the injuries that may be sustained. We’ll then consider who is legally liable for a rear end crash. Tailgating refers to driving too close to another vehicle. In these cases, there is very little room to slow down or come to a complete stop, which can make rear end accidents more likely. Related to tailgating, speeding contributes to a number of auto accidents each year, many of which are rear end accidents. People who are speeding are more likely to strike slower motorists from behind. There are many distractions in the world, and they can make driving more dangerous than it should be. If your attention is diverted from the road, there’s a greater risk of colliding with a vehicle ahead of you. The use of cellphones behind the wheel has become a major risk for distraction and rear end collisions. This is why California now has laws prohibiting the use of cellphones by drivers unless they are using a hands-free set. Sometimes a person is driving safely but their brakes fail in some fashion. Even just an extra second of stopping time can spell the difference between a near miss and a serious collision. Conversely, sometimes a rear end accident occurs because a person’s brake lights don’t function properly, which means drivers behind your vehicle are not aware that they need to slow down. Be sure to have your brakes and brake lights checked and maintenance regularly. Better to be safe than sorry. People who are struck from behind in rear end auto accidents typically experience whiplash, which is a type of injury that occurs when the neck is violently flexed and stretched suddenly. For people who strike vehicles ahead of them, head trauma and traumatic brain injuries may occur depending on how hard the impact is. These kinds of rear end collisions could be deadly, particularly if a passenger vehicle strikes a commercial truck and is involved in an underride accident. Who Is Responsible for a Rear End Crash? 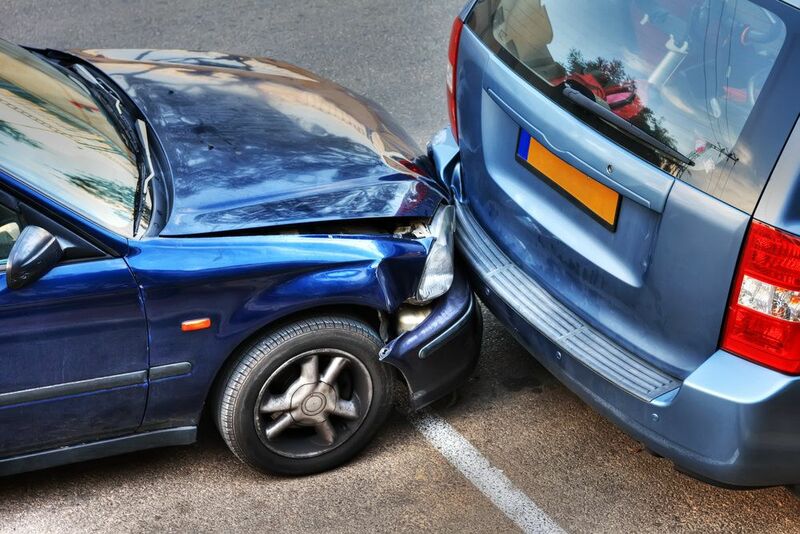 Legal liability for a rear end crash can vary from collision to collision. This is why it’s so important to consult an attorney about your legal options. By examining the evidence of your case and the circumstances surrounding it, we can develop a sound legal strategy to hold a negligent motorist accountable for their actions. We are here for you. To learn more about your legal rights following a rear end auto accident, be sure to contact our legal team about your case. An attorney from Sumner Law will offer you insight into your case and your legal options.